What is a Trustmaker or Grantor? Settlor vs. Grantor vs. Trustmaker -- Who Does What? You’ve formed a trust. You’ve created a trust instrument memorializing all the terms you’ve set for its operation, and your name appears within the document as its trustmaker, settlor, grantor or maybe trustor. Which are you? You’re all of the above. All four terms mean the same thing. They define the individual who formed the trust, whether it’s revocable, irrevocable or testamentary. The trustmaker/grantor/settlor/trustor has funded the trust, moving his property and assets into its ownership. That’s the easy part. It might seem logical that all trusts must be grantor trusts because all trusts have a grantor, but this isn’t the case. The term “grantor trust” is tax-related. It relates to the individual who is fulling another major role within the trust: the trustee. The trustee manages the property placed within the trust. He can sell it, invest it, or purchase additional trust property with income generated by the trust’s assets. The Internal Revenue Service takes the position that if the grantor and the trustee are the same person, this makes it a grantor trust. As trustee, you retain control of the trust’s property, so it is a “disregarded entity” for tax purposes. You report its income on your individual tax return, and you pay income taxes on that income. 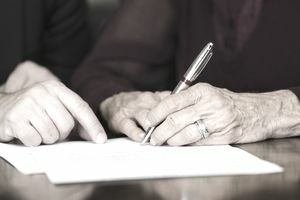 Most grantor trusts are revocable trusts which allow the grantor/trustee to change the trust instrument and its terms at any time as long as he remains mentally competent. Non-grantor trusts are commonly irrevocable trusts. Yes, irrevocable trusts have grantors, too, but the grantor of such a trust steps aside after funding it. The trust instrument appoints someone else to act as trustee. The trustee is solely responsible and has the only authority to sell, invest or purchase property within the trust. He has the power to make distributions from the trust per the terms included in the trust instrument. The IRS says this makes it a non-grantor trust. A non-grantor trust has its own tax ID number and files its own tax return. It reports and pays taxes on all income it earns. It’s effectively a separate tax entity from its grantor, who can’t disband the trust or take property back that he’s placed within it. He’s no longer legally considered the owner of these assets, and this generally makes this an irrevocable trust. It's not always this black and white. Grantors can make an election with the IRS to treat their grantor trusts as non-grantor trusts. These trusts go by name of “Intentionally Defective Grantor Trusts” or IDGTs. When the grantor funds the trust, he does so with the express intention that the property he’s moving into it should be considered an irrevocable gift – he cannot take it back outright, even if the trust is revocable. He can, however, substitute property of equal value for the initial gift. For example, if he makes a revocable gift of $5,000 in stocks, he can take the stocks back if he replaces them with $5,000 in cash. In exchange for all this, the trust pays its own taxes and becomes a non-grantor trust in the eyes of the IRS. NOTE: State and federal laws change periodically, and the above information may not reflect the most recent changes. Please consult with an attorney for the most up-to-date advice if you’re considering becoming the trustmaker, settlor or grantor of a trust and you have questions about the tax implications. The information contained in this article is not intended as legal advice, and it is not a substitute for legal advice.